Infiniti has just released the first offical pictures of its Emerg-E Supercar Concept. 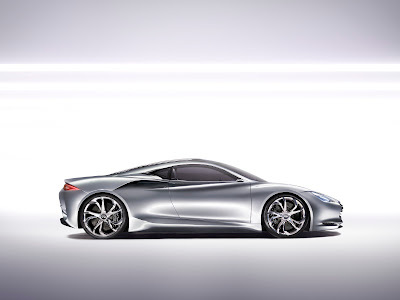 The car is scheduled to debut at the Geneva International Auto Show. Infiniti has said that the Emerg-E will be propelled by a mid-mounted range-extender drivetrain comprising an electric motor and an internal combustion engine. Mid mounted VR38DETT? Some direct injection VQ? Check out the video below and stay tuned for some more details in a few weeks. Some rumors now say the engine is a 1.2 liter. Just basically a small range extender.